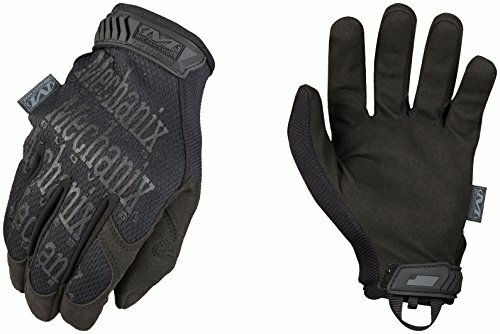 When And Why Should You Wear Tactical Gloves? Tactical gloves protect your hands while you’re out hunting or involved in a tactical situation. Not only will they protect your hands from scratches, but they will keep your grip firm and your trigger finger mobile even if you trail through mud and dirt. But did you know that wearing modern tactical gloves can actually increase your grip on the weapon? The foshollowing article presents the best tactical gloves available in the market in unbiased reviews that show the pros and cons of using each model. Our comprehensive buying guide will explain which is the best-suited material for different scenarios, what are the advantages and disadvantages of having extra protection and padding and will help you in finding the tactical gloves that best fit your needs. Further, in the article, we examine some of the most popular misconceptions about shooting gloves and explain which ones are true and which are not, and most importantly, we use facts in our explanation. Find out when and where you should use tactical gloves, and which models are better suited for different scenarios. Tactical gloves can have many uses, so be sure your pair can be used with good results in your most frequent activities. These gloves use a TrekDry form-fitting material that keeps the hand cool and lets it breathe even the temperatures are high. The glove’s palm is made out of a single layer, so there won’t be any seams to limit the mobility or dexterity of your movements. Each glove has a nylon web loop beneath the wrist so you can easily attach the gloves to the rest of your gear, so you’ll have a multitude of storing options. The gloves can be washed in an automated machine if necessary. 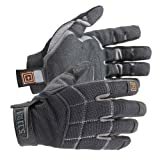 This gloves have a thicker palm than other tactical pairs, but not so thick as to impede or interfere with your usual activities. Seamless Palm – Having a seamless palm means that the gloves will not impede your palm’s natural movements, and they will offer a good tactile feedback. Breathable Fabric – These gloves are made out of a breathable fabric, so you’ll be able to wear them without any problems in hot and arid weather conditions. However, this means the gloves are not waterproof. Big Rubber Velcro – The new design of the gloves uses a larger rubber velcro which will make it difficult for the gloves to slide in and out of pockets. These gloves were specially designed to be used by the military and special forces in the desert or other arid environments. 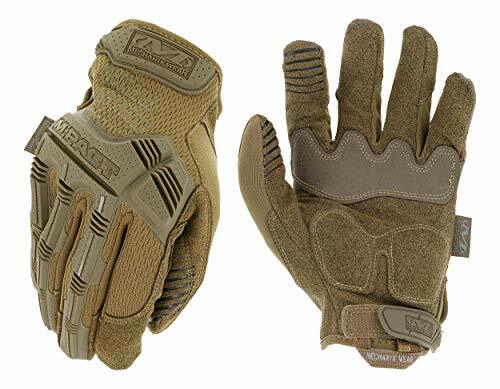 The gloves’ Coyote color makes them suitable for various camouflage patterns like the Desert MARPAT or the Woodland one. The gloves are made out of a breathable material, so you’ll be comfortable wearing them in warm environments. The gloves’ palm is seamless and only 0.8mm thick. The material used for the palm is synthetic leather, so your palm movements and dexterity won’t be affected, and much of the tactile feedback will be natural. The back of your hand will be protected by a plastic rubber. This rubber surface extends from the knuckles to the finger guards. Good Rubber Guard – The back of your hand, including your knuckles, are protected by the rubber guard, but the guard is also segmented so you can flex your fingers without interference. Durable – These gloves are designed to withstand abuse and last for a long time, so your hands will be protected. Not Warm – These gloves are designed for hot environments, so they will only be able to block some wind, but not the cold weather. These gloves are designed to keep your hands comfortable at all times, all year round, no matter the season. They are made out of synthetic leather and they have the “second skin” feel to them because they’re not very thick. The palm of the gloves is constructed out of a thinner synthetic leather and it’s specially designed to allow you to grip and manipulate small objects or equipment. The synthetic skin will allow you to have a good tactile feedback, so you’ll be able to use the gloves when you’re shooting or when you’re performing various tasks. Extreme-Grip patches are used in the palm and the fingertips of the gloves so the ability to grab and use small objects is improved. Soft And Flexible – These gloves are soft and flexible at the same time. You can wear them and accomplish tasks that are usually done with an uncovered palm, like typing on a smartphone or using small tools. Not For Warm Weather – These gloves might not be the best option if you want to use them in warm temperatures, especially if your hands sweat a lot. 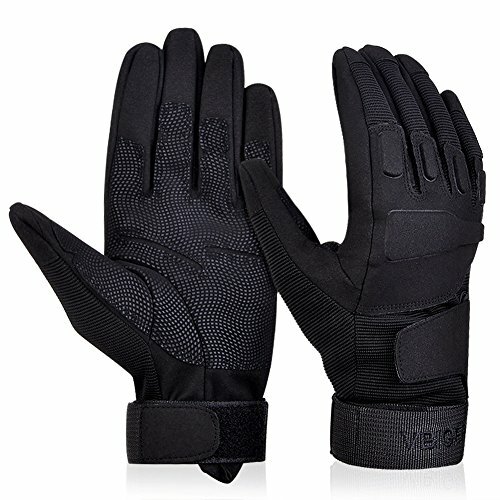 These tactical gloves are made out of velcro, and they are reinforced across the palm and the fingers. The knuckles are padded for increased protection. The gloves’ back panel stretches towards four directions, so even if the gloves are somewhat thick, you’ll still be able to move your hands and fingers freely, maintaining most of your natural dexterity. The reinforced material at the palm and fingers level will provide the necessary protection to do all kinds of rough jobs or tasks. The gloves can be washed in an automated machine, so you can use them to do the dirtiest jobs, as well. Durable – These gloves are durable and you’ll be able to use them on a large variety of tasks without any problems. Reinforced – These gloves benefit from a reinforcement just where it’s needed. The fingertips and the palm have an additional layer of material on them so they will protect the most exposed parts of your hands better. Thick – Unlike other tactical gloves, these ones are thick. This takes away some of the tactile feedback you’ll get when using them. Another downside of being thick is that you won’t be able to feel the trigger as you would normally, and in some cases, your fingers won’t be able to reach around the trigger because of the lack of space. These gloves are designed to meet your everyday needs. You can use them for tactical purposes when firing a weapon or trekking in a mountainous terrain, but you can also use them with great results when riding a bicycle, or when you’re climbing on rocks. The gloves are made out of a microfiber fabric which allows them to dry fast and be very flexible. The material has anti-static, anti-torn and low-temperature resistant proprieties, making the gloves a great fit for a large number of scenarios. While most of the palm’s surface is covered with a thickened mat, the fingers’ tips are thinner, so you’ll be able to feel more through the gloves at that level. This will allow you to manipulate smaller objects easier and more precise. Good Physical Protection – These gloves fit very well and do a great job at protecting your hands, especially your palm and fingers from callouses. They will protect your hand and your palm from scrapes, as well. Comfortable – These gloves are comfortable and flexible so you’ll soon forget about the fact that you’re wearing them. Not Suited For Gadgets – These gloves can’t be used on touch screen gadgets, so you’ll have to take them off every time you want to use one. These gloves are made out of microfiber, nylon and leather lycra and are specially designed to keep your hands safe and protected at all times, in different weather conditions. The gloves’ palm is reinforced for extra protection and the knuckles are protected by a hard plastic cover, so you’ll be able to use your hand while the most exposed parts of it benefit from increased protection. The back of the hand is made out of spandex material so your hand will fit in snugly. The wrist strap is very strong and highly adjustable so you can make sure your hand will fit in comfortably, without being too tight. The fingers are covered by a soft microfiber so you’ll be able to have an increased tactile feedback at all times. Good Construction – The gloves are developed very well, and it’s clear that the manufacturers had durability in mind when they developed this model. The stitching is tight and durable, the materials used top-quality. Comfortable – If you buy the right size, the gloves prove to be very comfortable to wear for extended periods of time. The adjustable strap and the spandex back make them fit every type of hand. Not Warm – Although these gloves are advertised as an all season product, they won’t keep your hands very warm. When you’re involved in a tactical situation you need a clear mind to make the best decisions, but you also need the best equipment suited for that particular situation. Protecting your hands is very important because they are exposed to harm almost all the time. The following section will present several aspects you should know before buying a modern pair of tactical gloves. Velcro – Gloves made out of Velcro are durable, and you’ll be able to wear them for an extended period of time. You can use them with great results when carrying heavy loads or in other tough environments. However, they are usually thicker than gloves made out of different materials, so your hand’s movement will be somewhat limited. They are not very well suited for manipulating small parts or objects, and wearing them can lead to a significant loss in the tactile feedback you’ll receive. The thickness of the gloves might interfere with your shooting. Microfiber – Many tactical gloves manufacturers rely on microfiber for producing their products. The specific combination of materials used to create the microfiber can be different from one manufacturer to another, but all of them have several things in common. They are breathable, so you’ll be able to wear them in warm environments and still be comfortable. They can be washed in an automatic washing machine without any kinds of problems, and they dry pretty quickly. They have anti-static and anti-torn proprieties, so you’ll be able to use them for a longer time. Most of them have extra padding on the more exposed parts of your hand, like the palm, knuckles, and fingers. They are well suited for most tactical situations, from mountain climbing to riding or driving. They are comfortable to wear when shooting, and they won’t interfere with your shooting style. They are thin and provide an increased tactile feedback, making them suitable for manipulating small parts or objects. Synthetic Leather – Although many manufacturers use synthetic leather, most of them use it in combination with other materials, such as microfiber or spandex. Usually, only the palm of the glove is made out of synthetic leather. This material has the advantage of being very thin and provides the “second skin” experience. After a short time of wearing the gloves, you’ll be so comfortable you’ll forget you’re wearing any. The leather also provides the maximum tactile feedback, and you will be able to do things normally done only with your bare hands, like controlling touchscreen gadgets. This material also provides a good grip, but sometimes the grip is enhanced with specially designed grip patches. Protection: Protection is one of the most important features of the tactical gloves. The gloves’ design will determine the level of protection, so make sure the gloves are suited for your usual activity. Some gloves provide extra material to the palms, knuckles, and fingers, protecting the most exposed parts of your hand. Other designs will keep the palm surface to a minimum thinness, so you’ll be able to feel more through them, but it won’t protect your palm very much. Insulation: Insulation is an important part of tactical gloves because you have to be able to wear them during the cold season. A well-insulated glove will keep your hand warm and toasty when it’s cold outside, but the insulation material will also restrict the movement and dexterity of your hand, so tactical gloves manufacturers usually keep the insulation to a minimum. Not even the best shooting glove will compare with a glove specially designed for warmth because they are supposed to be used differently. Tactical gloves must allow you to feel through them, so you can feel the trigger or the gadget you’re holding. They won’t provide sufficient insulation when the temperatures drop really low, but they are better than nothing. Padding: Padding is important because it provides supplemental protection to the most exposed parts of your hand. Depending on your usual activity, you should seek out the tactical gloves’ design providing supplemental padding where you need it. Knuckle Reinforcement – Knuckle reinforcement is good in a tactical situation, especially if you need to knock some teeth out. However, having a thick knuckle protection can lead to a slight discomfort from chafing. Palm Reinforcement – Keep in mind that if your gloves have additional material across the palm, you’re trading tactile feedback for protection. Still, there are situations in which protection is more important than touch, so the extra padding will be welcome. Fingers Reinforcement – If the tips of the gloves’ fingers are reinforced, you will be able to feel less through them, but your fingers will be better protected. After all, fingers are the most important part of your hand, especially if you’re shooting. Tactical gloves are so much more than just shooting gloves. They provide the necessary protection for your hands in a lot of different scenarios. The following section will address some of the situations when wearing tactical gloves is highly recommended. Intense Physical Activity – When you’re engaging in an intense physical activity, chances are you’re going to use your hands a lot. When you’re tired and dehydrated, your judgment is impeded so you can easily hit your hands. Tactical gloves can protect your hands from scratches, and they will lower the force of the impact. Trekking – Tactical gloves are a good way of protecting your hands when you’re out trekking. Even if you trek on highly frequented routes, you could be put in the situation of clearing out the path or just removing some branches that are in your way. The gloves will protect your hands from unnecessary scratches. Lifting – Lifting and carrying things can always lead to scratches and bruises across your hands. Even if you’re lifting smooth objects, you can still harm your hand by banging your knuckles into door frames. Good tactical gloves will provide knuckle protection, so you won’t hurt your hand. Crossfit – Crossfit is gaining in popularity because it’s fun, it’s healthy, and it can be done pretty much everywhere. But if you want to start doing CrossFit exercises, you’ll also need the right equipment. Most people who start doing CrossFit buy bulky gloves to make sure their hands are protected, but that’s not necessary. The gloves models we presented in our reviews can be used as CrossFit gloves with great results. They are thinner than most gloves, so you’ll be able to keep almost all the tactile feedback, they’re sturdy and durable, so you won’t have to buy a new pair every two weeks, and they can be washed when they get dirty. Mountain Climbing – Mountain climbing is an extreme sport, and using the best equipment available is crucial. When you’re up on the mountain facing a wall, you need to use every advantage you can get. Having the best boots is not enough because half the work is done with your hands. Every little scrape and scratch can impede your advance, slowing you down and draining your strength. This is why using tactical gloves while mountain climbing is important. Not only will the gloves protect your hands, but the climbing gloves will increase your grip as well. Instead of bloody nails and bruised fingers, you’ll get only the immense satisfaction of winning against the mountain at the end of your climb. Motorcycle Rides – Using a pair of tactical gloves while you’re riding your motorcycle might be just a fashion statement during the summer, but it’s a necessity during the spring and autumn. Even in the summer, a good pair of gloves will keep your hands warm when you reach high speeds. In the colder seasons, the riding gloves will allow you to have warm hands and feel the throttle exactly as you would with your bare hands. Cycling Gloves – If you like riding your bicycle, you know how important gloves are. 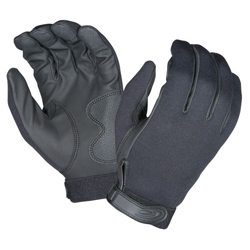 They will protect your hands from callouses, and they will keep them warm during the cold seasons. The cycling gloves will allow you to have a firm grip on the handlebars and keep your hands comfortably warm at the same time. Cycling can be an intense activity, so you can sweat a lot. Fortunately, tactical gloves can be washed in an automated washing machine without any problems. The biking gloves offer supplemental protection to your hands where they grip the handlebars. Hunting – Hunting can be a very pleasant past time and it can create strong bonds between father and son, or between siblings. But every hunter knows that there’s more than just pointing and shooting involved in hunting. You need to approach your target slowly, without sound. Sometimes you need to crawl through the bush to stay undetected. That’s when you need gloves. The best hunting gloves will allow you to grip your rifle properly even if you’re covered in mud. Tactical Situations – Last but not least on our list is the tactical situation. Tactical scenarios can happen in various circumstances, and you need to make sure you have the proper equipment for each and every one of them. A pair of good tactical gloves will offer sufficient protection while allowing you to manipulate your gear like you would bare handed. 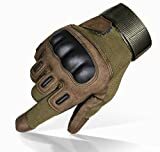 Modern tactical gloves can actually enhance your grip using special padding, so you’ll keep a firm hand on your weapon at all times, even when you’re wet or covered in mud. But holding your weapon is not enough, you have to be able to use it properly, as well. 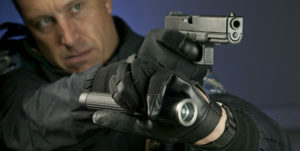 Tactical gloves can be used while shooting without interfering with your style and posture. There are several misconceptions about shooting gloves that are believed to be true, even though there are not enough fact to back them up. In the following section, we review some of them and show all the facts involved. Shooting Gloves Shouldn’t Have Full Fingers: This is a common misconception, and you’ll be able to see people who believe this every day at the shooting range. They will wear gloves with an open finger design to make sure they can grip the bullets and reload their weapon. Here’s what’s wrong with this misconception. Enhanced Grip – Modern tactical gloves are made out of thin materials and they usually have special patches which enhance their grip on the palm and the tips of the fingers. No Sweat – This might not apply to people who only fire their weapon in an enclosed shooting range with a functional air conditioner, but tactical scenarios usually happen in various, more harsh environments. If you find yourself shooting at another human being who’s shooting back at you, you’ll begin to sweat, no matter how low or high the temperatures are. If you have to reload your magazine with sweaty fingers, chances are you’ll lose some bullets in the process. The shooting gloves will allow you to grip the bullets properly, no matter how sweaty your palms are. No Scratches – Tactical scenarios can take place in a lot of different places, so you might need to climb, descend, crawl, you name it. An open finger design offers no protection to the tips of your fingers, and you need those fingers to squeeze the trigger, so every protection you can get is beneficial. 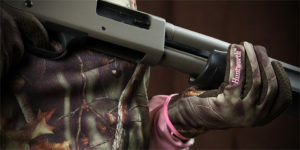 Good Tactile Feedback – Most tactical gloves are specially designed for shooting. Keeping that in mind, manufacturers developed new and ingenious ways to provide a good tactile feedback. One of these ways is using synthetic leather or microfiber for the palm of the gloves and the tips of the fingers. These materials are so thin, you’ll be able to feel everything almost as well as you would bare handed, so squeezing the trigger and operating your gadgets will provide no problems. Limited Movement And Dexterity – A high level of protection usually means using more padding or a thicker material to manufacture the gloves. This might increase the level of protection, but a thick glove will limit your hand’s natural movements and its dexterity. Most manufacturers try to balance the protection factor with maintaining the hand’s natural flexibility and dexterity, so while the glove will be thinner, it will still protect the more exposed parts of your hands. Low Tactile Feedback – Tactile feedback is very important in a tactical glove because you have to be able to feel the trigger as you would naturally. If you can’t feel the trigger, you might push it accidentally, or not push it enough when you should. This could lead to injuries or worse, so it’s a safety hazard. As a higher level of protection needs more material, this can lead to a thickening of the glove, lowering the tactile feedback you receive while touching things. Limited Grip – Having a thicker glove will make gripping and handling your weapon tougher. It can reduce the grip and make manipulating small parts of your weapon, like accessories and bullets almost impossible. You Should Wear Shooting Gloves In The Winter: While wearing shooting gloves in the winter might stop part of the cold air from reaching your hands, keep in mind that they’re not designed to keep your hands warm. They’re designed to protect your hands from dirt and scratches, eventually lowering the force of an impact, but they’re not designed to keep them warm. The thin materials used in tactical gloves will not stop the cold. In fact, most gloves are designed to allow your hands to breathe, so they will also get wet. Still, it might be better than nothing. Wearing Shooting Gloves At The Range Is Just For Show Offs: While this statement might be true for some of the people in shooting ranges across the country, there’s another aspect you should keep in mind. If you’re planning on wearing gloves when you go out hunting, or when you’re in a tactical situation, wearing them while you practice your shooting will help. Practicing with your gloves on will make you feel the trigger better, you’ll get used to gripping the weapon with the gloved hand, and will offer you the same shooting experience you’ll have in the field. This is always good. We’re confident that after reading this article you can agree that wearing tactical gloves is not just a whim or a fashion statement, is a necessity. Without a good pair of gloves, your hands are exposed to the elements every moment and they have to withstand both low and high temperatures, as well as winds and scratches from your surroundings. It doesn’t matter if you climb mountains, ride bikes, or just have to carry things around your household, tactical gloves will definitely help. Besides protecting your hands from harm, the best tactical gloves will also keep them comfortable. Some of them are so thin, you will hardly notice you have them on after a while. While fingerless glove models are still preferred by some shooters, modern designs will not only provide supplemental protection to your fingers, they will also enhance your grip using special features. New models use materials so thin, you’ll be able to feel everything almost as good as you would bare handed, but you will also benefit from the protection they offer to the most exposed parts on your hands. However, proper tactical equipment is not limited to gloves, so take a look at our other articles regarding the tactical vests and pants to make sure your prepared to face nature full tilt at all times. All what you need is to visit Shooting & Safety in order to find loads of reviews accompanied with best products.